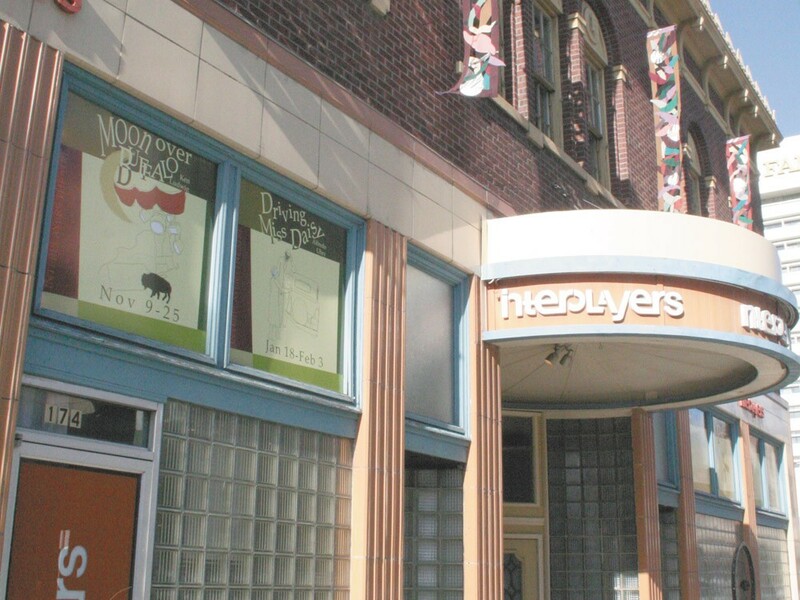 Interplayers Theater is now out of debt. On rainy days the cast and crew inside Interplayers Theatre use garbage cans to catch the insistent drips. Built in 1923, the theater is on the Spokane Register of Historic Places. Its colorful orange pillars, red font and blue accents make the building and resident professional theater it houses an artistic beacon in Spokane. But until last week, the theater was threatened with foreclosure. “We’ve been drowning in debt for the last decade,” says Artistic Director Reed McColm. “We finally had to ask ourselves: Is it reasonable to keep up the fight or just close up shop?” McColm says the economy, ticket sales and operating costs have crippled the nonprofit organization. But thanks to a partnership finalized last week with real estate mogul Jerry Dicker — who recently purchased the Bing Crosby Theater — and his company GVD Commercial Properties Inc., Interplayers Theatre will keep its doors open. “We are delighted to have a white knight in Jerry Dicker,” McColm says. The Spokane County Assessor’s Office says, the transaction was processed as a deed in lieu to avoid foreclosure proceedings. Although GVD Commercial Properties owns the building, Interplayers has signed a long-term lease and will remain the only tenant. Brown says the theater unsuccessfully sought business partners and investors. She says Dicker has been a long-time patron and advocate of the theater. His wife has served on the board of directors. First order of business: a new roof. Construction will start this week. McColm rattles off a list of “capital improvements” but most importantly he says the partnership will allow the theater to provide higher standards of art to Spokane audiences. He hopes to establish a repertory company with resident artists. The theater also plans to host concerts, a theater library, one-person shows, classes for adults and children and cabaret workshops. This summer they will produce Ruthless!, their first-ever summer production.